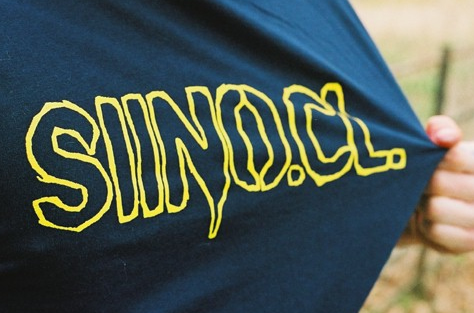 Of the many clothing brands about, Siino remain one of the few to put serious efforts into their product whilst supporting artists and the hiphop scene. We asked them about their range and lots more. 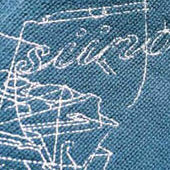 How did you come up with the name for Siino Clothing and how do you pronounce that? You say see-no. When we started we knew what we wanted to do and the crest represented all of that. The name was something to call it but we wanted something real nice, like a real nice word for people to say. We started using Siino and trademarked that and the crest. We throw in the clothing there sometimes so people know it’s not a new make of dish washer powder. What does it mean, and what other names were in the reckoning at the drawing board? The crest is Siino. Explaining the crest; The left shield is what has gone and the right is what’s to come. The lion’s holding the shield there is like old and new brought together. In the present, ‘cause everything we do is in the present. We’re giving respect to those before us, who done what we doing now while were still putting this together. We also giving respect to our seeds ‘cause likewise, we’re doing this now but they got it all to come. That’s why you’ll see ‘in nominee patrum’ on some things. ‘In the name of our fathers’. How long has the company been running and what’s been the biggest achievement in this time? 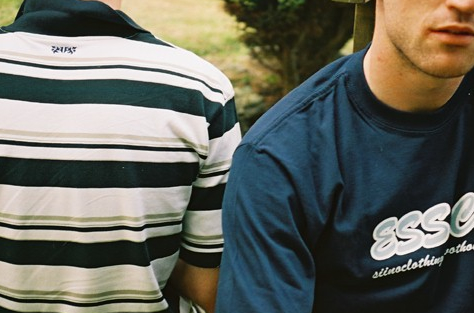 Siino have been putting the crest on clothing since 2003. To me, our best achievement feels like getting the spring summer collection on the streets. Getting everything as we wanted it was hard work. We knew this was gonna be the collection where we pushed ourselves out there ‘cause we felt ready. Nothing could be a weak link, even down to the fit of the hoodie waist band. We spent time getting it to be the correct tightness so it would hang right and be a nice fit. It was just one piece of a complex puzzle. It’s hard trying to get all things right. There’s quite a few urban clothing ranges now. What makes you guys different? I think there’s an originality to what we do and an honesty and quality to the design. Guaranteed is that the work you wear’s refined from 100’s of initial ideas and designs. I see a lot of stuff in shops that wouldn’t get past the first showing at a meeting of the Siino board. That makes me smile. Hiphop’s always played an important part in our lives so naturally when we set to create clothes, you’re gonna see that influence in them ‘cause that’s part of our focus. We didn’t go out there from the off like “we’re gonna be an urban label” and I don’t think that’s what we’ve created. Siino appeals to many people I think, because of its diversity. It’s not about one thing, it’s about many things. In that respect, it’s like hiphop. I think people who can see that respect it because they can see that we’re not trying to be something, we’re just being Siino, creating things from our influences. Tell us about some of the items you sell and what kind of person would most enjoy wearing them. We keep our eyes open, not half shut, so there’s a lot for us out there. We don’t have to look hard for inspiration and in the same respect, a lot of people find inspiration in Siino. Everyone likes different things but I believe that everyone has room in the cupboard for a Siino garm. If it’s a tee it’ll be their favourite tee! A shirt then they’ll reach for the Siino shirt first. Once you’ve checked for the crest, you’ll check for the crest. How did your work with L Dot Man and Supernovar come about and how important is supporting music to you? Working with Supernovar and L Man both came about through mutual friends. Supanovar was feeling our circle range of tee’s which back then came in colour sets that you weren’t really seeing about. L Dot wanted to make up some tee’s to go with his ‘Who’s That White Kid’ single. 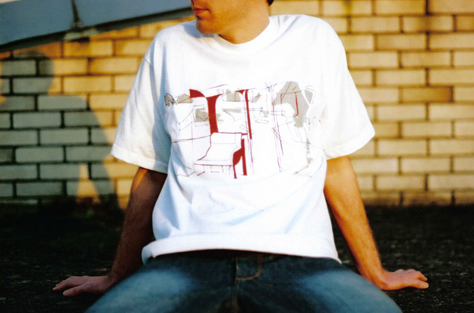 We believed in the project and worked with him on the tees and setting up www.whosthatwhitekid.com. We’ll always support and work with the scene ‘cause that’s our love which we’ve always had and always will have. What do you look for in an artist to sponsor? What new items are you currently working on getting into your store? We’re just still working, pushing things forwards, making clothes we’d wanna wear. We don’t wait till new season’s to bring something out. If we’ve got an idea for something we wanna get it made and worn by someone out there soon as, so new things are coming out regular. Drop the web address and any shout out’s you wanna make to round this up on. Check for the crest at www.theurbanshop.co.uk www.siinoclothing.com and www.myspace.com/siinoclothing We just wanna big up anybody that believes in what they doing and everyone that’s helped us on our way.